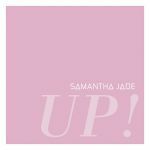 australian-charts.com - Samantha Jade - Up! Better than "Firestarter", but I still enjoy "What You've Done To Me" and "Soldier" more. This has aged surprisingly well, suits her voice well. Despite the fact that it's not particularly original, there's a lot of nice moments here. If the Kylie comparisons weren't evident before this, than they should've been upon release of this. Not totally a bad thing though. Pleased it was at least a decent sized hit. Yet another great pop track from Samantha Jade! It starts out quite generic sounding but the fast-paced bit before the chorus is really good. The chorus is also generic and quite repetitive but it's enjoyable enough. This is definitely an improvement on Firestarter and Soldier. Starts off promising... and then I'm not so sure. Still not the biggest fan of her vocals and it doesn't help to create the atmosphere that perhaps she was going for. Not bad I suppose. Has anybody else picked up what this is a carbon copy of yet?<br>Chris Brown's 'Don't Wake Me Up' from a couple of years ago. I can hear the similarities too BeansterBarnes. It was evident to me on first listen.<br><br>Otherwise, it was a bit average for me. Nothing to get excited over. I like it but it's not as good as any of her previous singles. Yet, anyway. Not my favourite from her but it's enjoyable. Not bad, one of her better tracks.